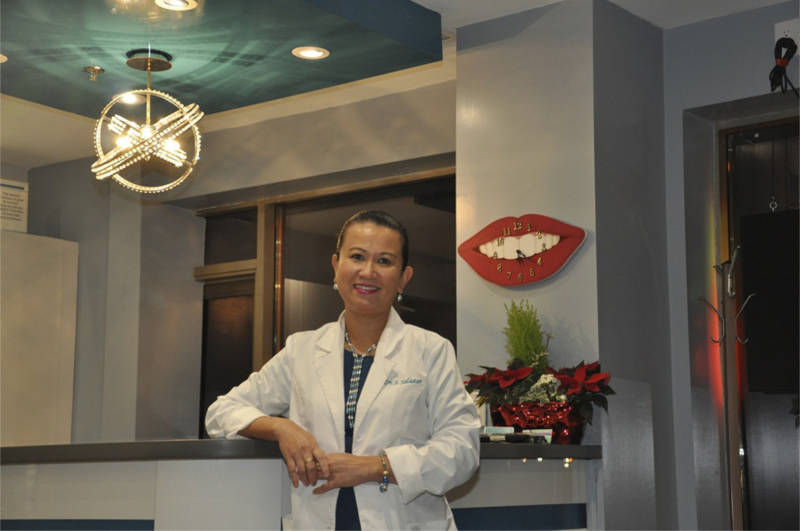 quality, experience, and the latest in cosmetic dentistry. Our dental team is dedicated to providing our patients with the most comprehensive dental care available with emphasis on cosmetic dentistry. This goal is accomplished through clinical excellence, exceptional service, and sincere compassionate care. As always , please feel free to address any questions or concern to our staff members. Together we can strive to achieve excellent oral health with a smile that will make you feel good and look good all the time. 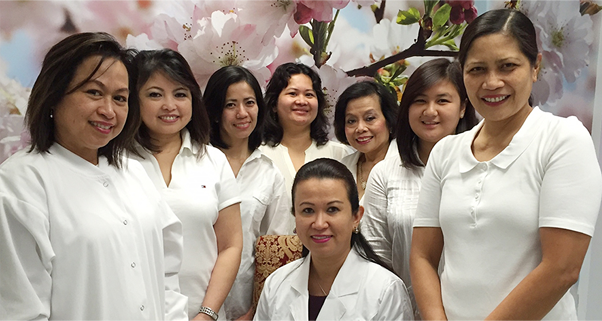 Make Our Dental Clinic Your Haven! We provide gentle, family oriented dental care to the adults and children of this community. We use extensive sterilization procedures. All instruments are sterilized prior to use. We use disposable masks and gloves. Our equipment is wiped-down with antibacterial solution after every procedure. Water lines and evacuation hoses are routinely cleaned with disinfectant. Staff 5/5 Punctual 5/5 Helpfulness 5/5 Knowledge 5/5 Service are perfectly well. I would tell friends that their practice is good and they are very professional. They do a good job. Staff 5/5 Punctual 5/5 Helpfulness 5/5 Knowledge 5/5 Keep up the great work! 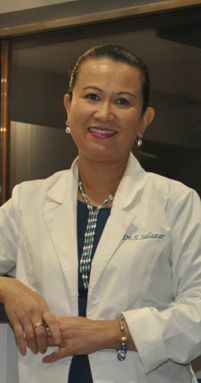 Staff 5/5 Punctual 4/5 Helpfulness 5/5 Knowledge 5/5 I would gladly recommend Dr. S. Salazar to relatives and friends. The staff are nice people and congenial. Their service is down to earth, while the office area is accessible. Your staff is accommodating, friendly, and nice. They give excellent service and the office area is environmentally friendly. Keep up the good work! I am writing to let you know how very pleased I am with the service you provided me yesterday. I had great experience for your services such as x-ray, cleaning, Laser bacterial reduction and fillings. and your Staff are so professional, thorough, friendly and on time. My experience is wonderful and my gums, teeth overall it was great-- especially when you shared with me so many good tips how I need to improve and take care of my teeth. I just would like to say "Thank You" for the service we have received from you and your staff. Truly we have been blessed. You truly have shown character that our Lord Jesus will be proud of. We are hoping and praying that we will be able to have insurance next year which includes dental. If that happens, we do plan to do our regular dental needs through your clinic. Again, thanks and may God richly bless you in return. Awesome renovation! Great work! The Lord is good! Satisfied and will recommend to others. I've been to Dra. Salazar for nine years and very satisfied!!! I received a very good treatment.. I would always recommend to people about the efficiency of the staff and very professional. Available DaysMonday 10a.m.–8p.m.Tuesday 10a.m.–6p.m.Wednesday 10a.m.–8p.m.Thrusday 9a.m.–12p.m.Friday 10a.m.–8p.m.Saturday 9a.m.–3p.m.